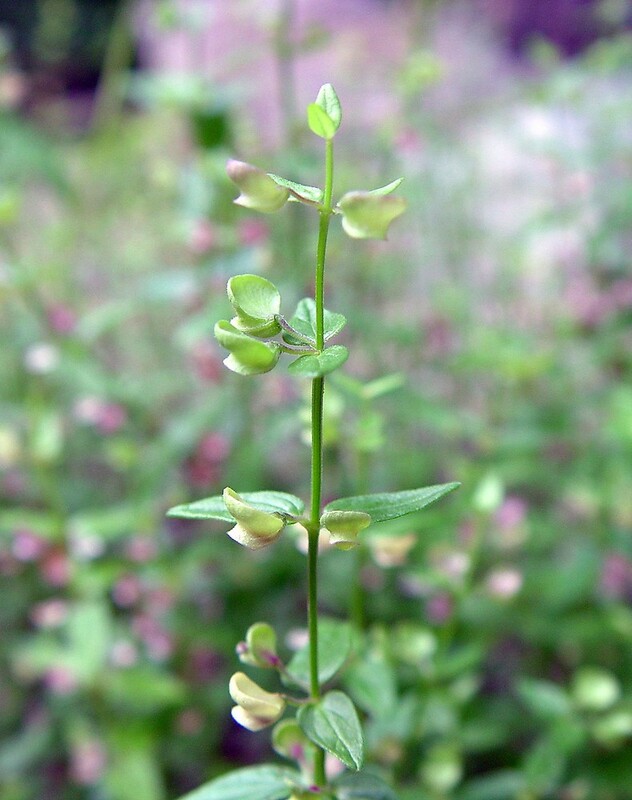 Little skullcap is a small and easily overlooked plant of eastern and central North America, whose variability has been resolved into three varieties. 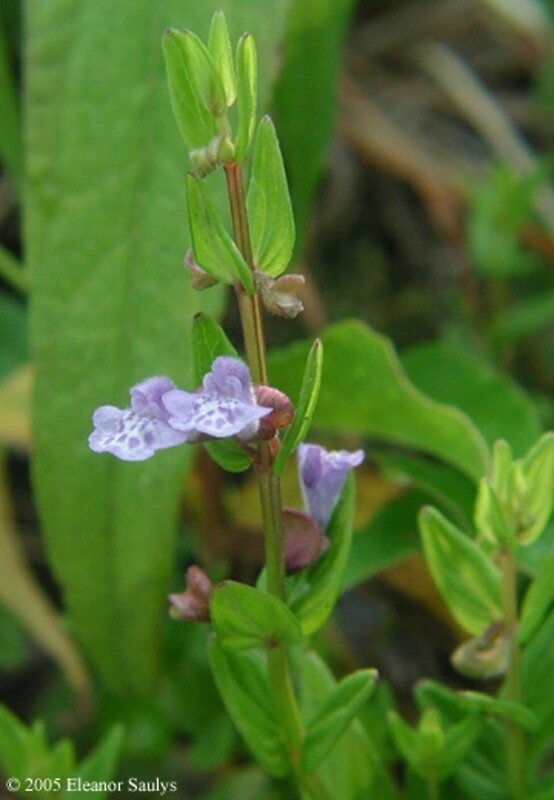 All of them are present but rare in New England, with one (Scutellaria parvula var. missouriensis) being more widespread, while the second (S. parvula var. australis) is known only from Connecticut, while the third (S. parvula var. 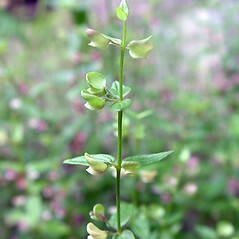 parvula) is known only from Vermont. 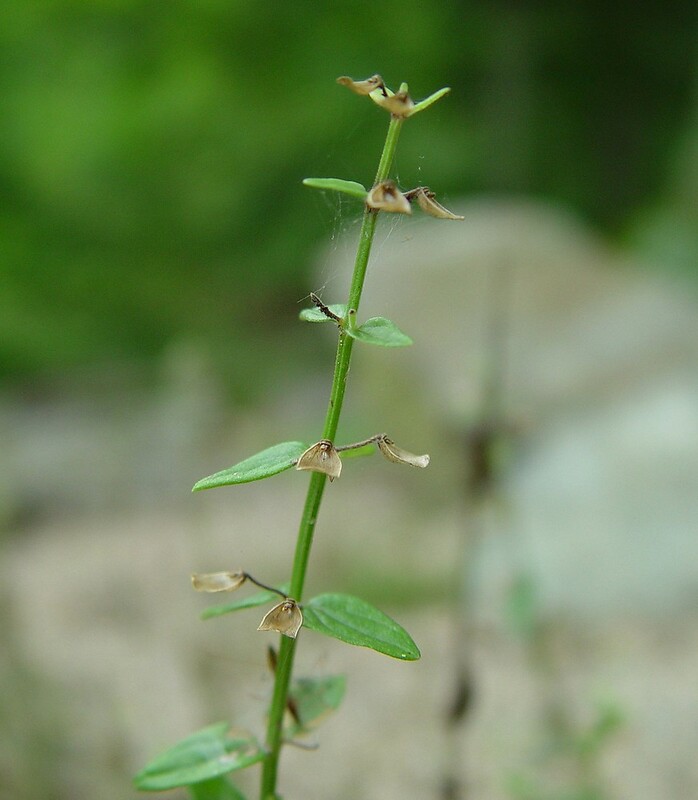 They are distinguished on characters of the lateral veins of the leaf blade, and on details of the pubescence. The species is often found in shallow soils over bedrock. calyx lacking a transverse ridge on the upper lip, the entire calyx persistent in fruit, and leaves with blades 6-12 mm long, usually on short petioles 1-2 mm long (vs. S. parvula, with the calyx with a small, transverse ridge on the upper lip, the upper lip deciduous in fruit, and leaves with blades 10-16 mm long, usually sessile). Variety missouriensis is known from CT, MA, ME, VT. 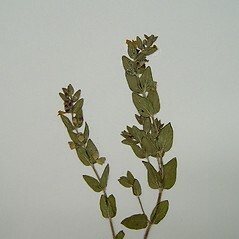 Variety australis is known from CT. 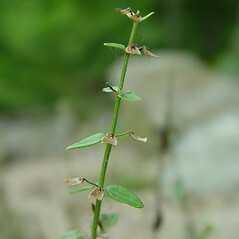 Variety parvula is known from VT. Previous reports of var. 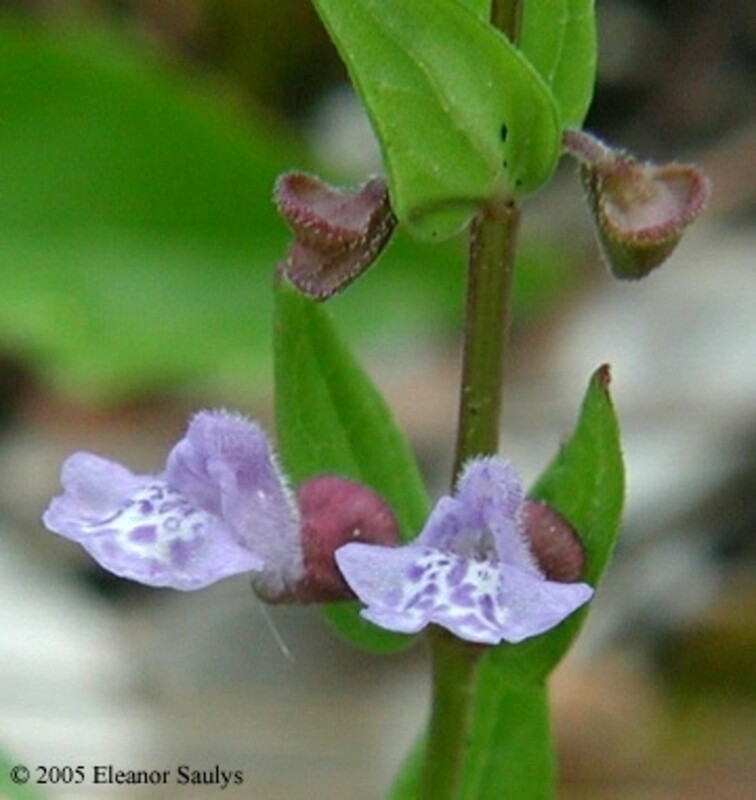 parvula from York County, ME, were based on specimens of S. parvula var. missouriensis that were only partially identified (i.e., the specimens were identified to the species level only and they were taken to be the typical variety without review of the sheets). 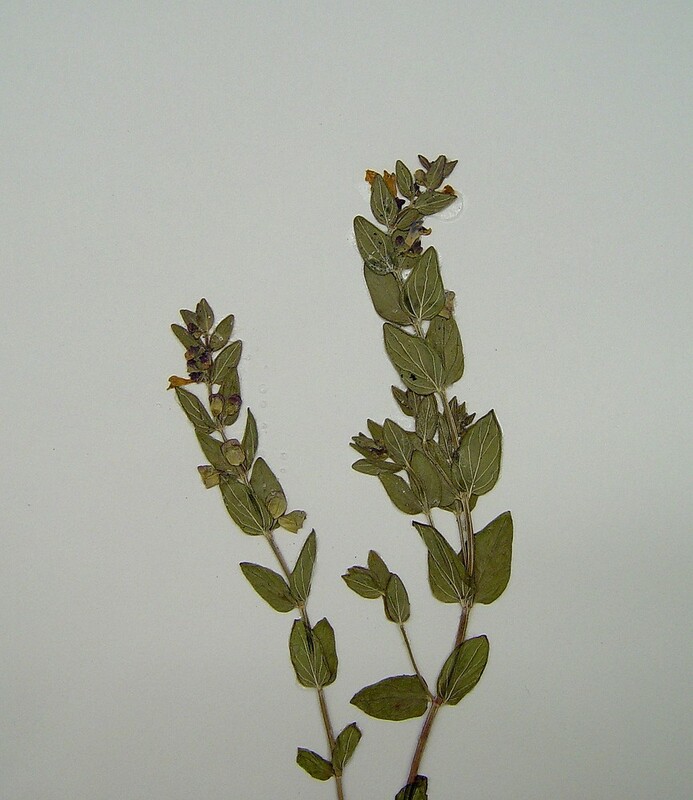 Epling (1942) also cited a specimen of var. parvula from ME with simply the word “Fulton”, which was meant to be a place name. However, I am unaware of any town or village in the state by that name. Further, Epling did not map this species as being from ME. All varieties are of conservation concern. 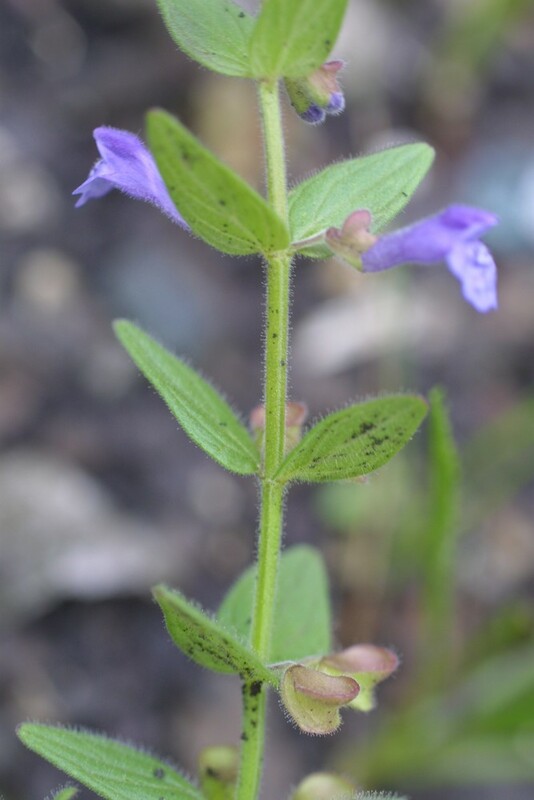 little skullcap. 5a. 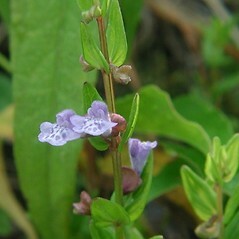 Scutellaria ambigua Nutt. ; S. leonardii Epling; S. nervosa Pursh var. ambigua (Nutt.) Fern. 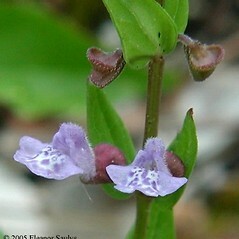 ; S. parvula Michx. var. leonardii (Epling) Fern. ; 5b. 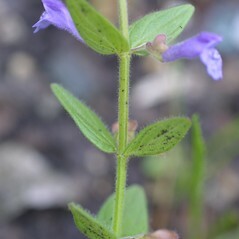 Scutellaria australis (Fassett) Epling • CT, Ma, Me, VT. Woodlands, ledges, balds, river banks, meadows, fields, disturbed soil, often associated with thin soils over bedrock.